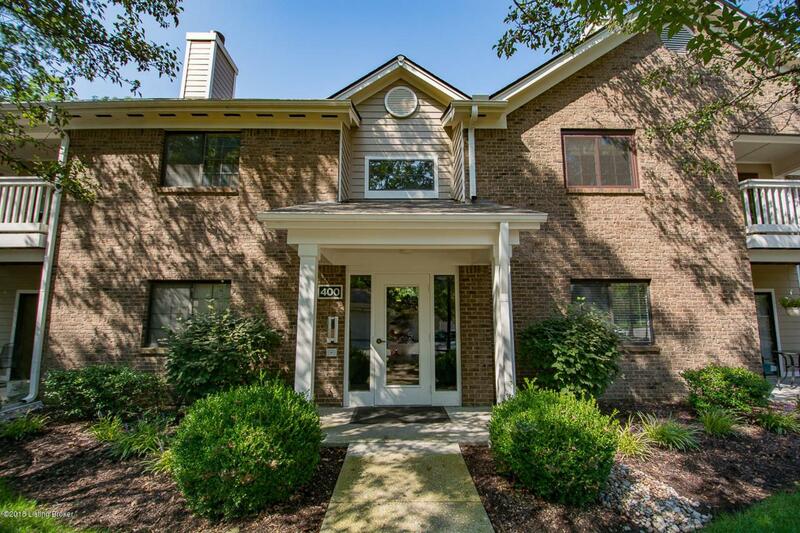 QUICK POSSESSION on this FIRST FLOOR, OPEN PLAN Condo in Dorsey Hills! Secured Building Entry, NO STEPS, 1 CAR GARAGE, location in rear of building offers a PRIVATE Patio area! Just off the Entry you'll find the Kitchen open to the Dining Area & spacious Family Room. The Den offers a private place to relax away from the open area. Master Bedroom with walk-in closet & beautifully UPDATED Master Bath with a walk-in tiled shower & granite vanity top! Guest Bedroom with walk-in closet, Guest Bath & Laundry round out the interior living space. Additional storage space (closet #2) located just outside the unit, in the first floor hallway.